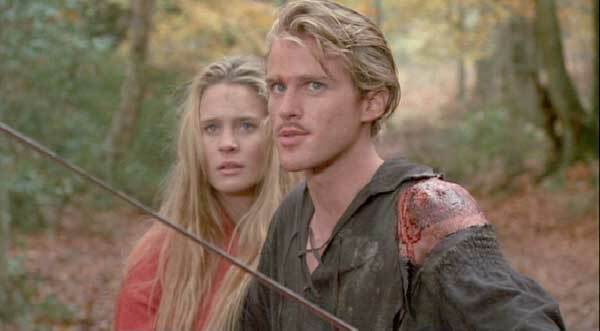 Not quite medieval, but too great not to include, we take a look at the 1987 film The Princess Bride, starring Cary Elwes, Robin Wright and Mandy Patinkin. It took nearly 15 years for William Goldman’s 1973 novel The Princess Bride to be turned into a film, with Rob Reiner directing and co-producing. When it was released the movie was only a modest success, earning about $30 million at the box-office. However, once it was available on VHS, its popularity grew and by the time it reached its 25th anniversary it was considered a cult-classic, and makes many lists of top-100 films. The film is loosely set in medieval (or Renaissance) Europe – it takes place in the fictional country of Florin, but there are references to various real places such as Spain and Sicily. The story involves a young couple, Westley and Buttercup (Wright) who fall in love, but then are tragically separated. The less-than-stellar Prince of Florin wants to marry Buttercup, and all this leads to a kidnapping, chase on the high seas, and more hijinks. What makes The Princess Bride so well-loved is its set of memorable characters, some of whom don’t get much screen time but make the most of what they have. Many people can also quote word-for-word their scenes. Furthermore, the film offers something for everyone – romance, comedy, action. For the most part, this is also a family-friendly film, with just a touch of violence and strong language.